Do you love the outdoors? 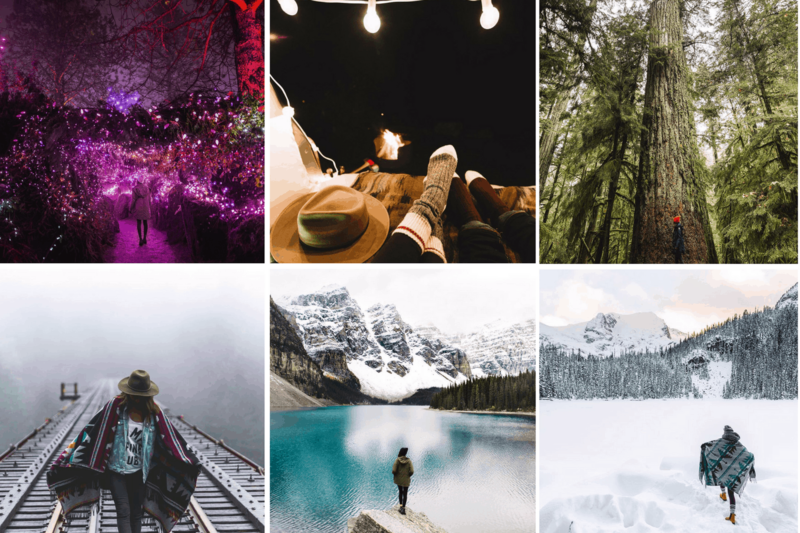 Do you want to know who to follow to get inspiration and ideas for your next adventure? 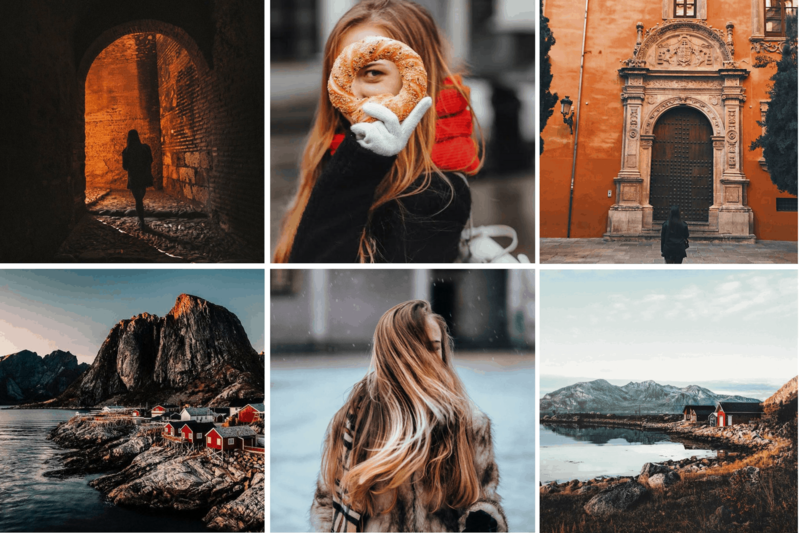 Are you trying to find a good Instagram base to follow? If you answered yes to any of these questions, read on for the answers. 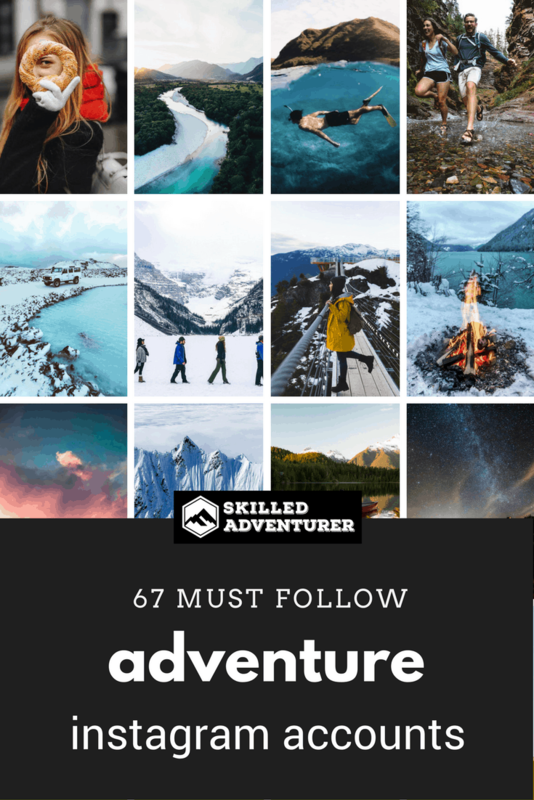 My own experiences on Instagram have led me to recommend the following 67 adventure Instagrammers you should be paying attention to right now! 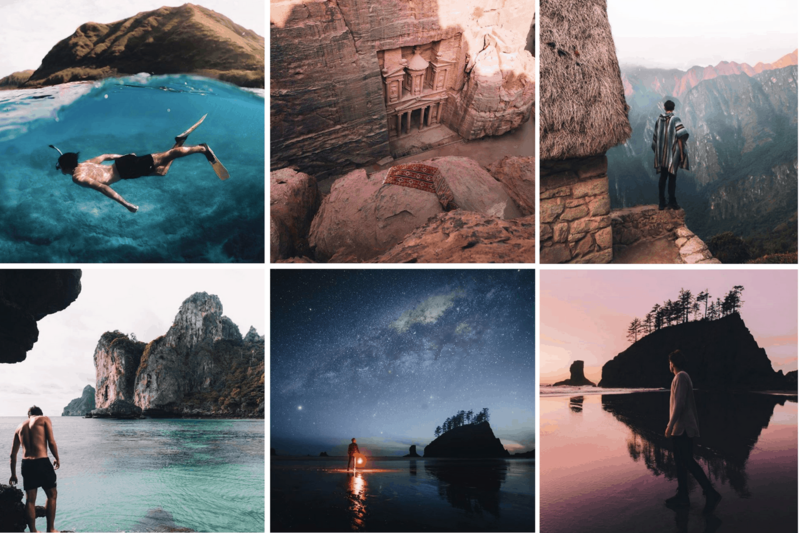 These Instagram accounts aren’t ranked by any particular level of awesomeness; they’re all equally awesome! 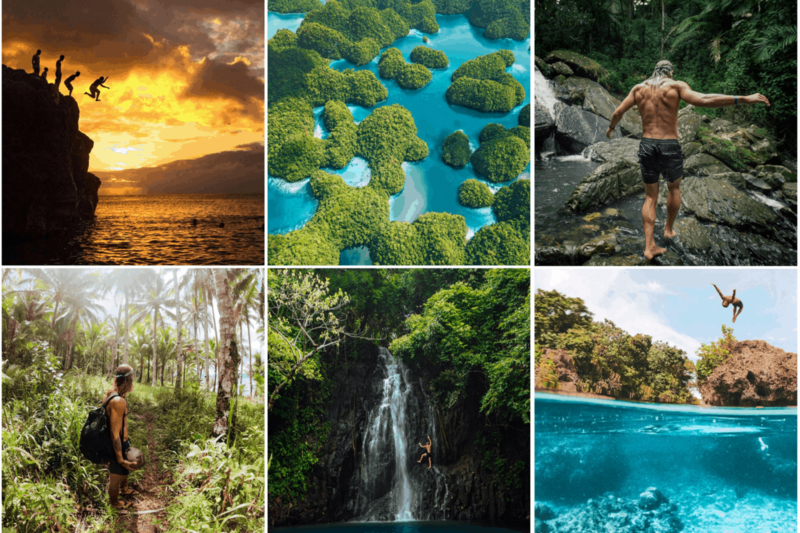 Jackson Groves is a solo Aussie travel blogger currently in the Philippines. He journeys around with only a backpack. Do you want to follow in his footsteps? 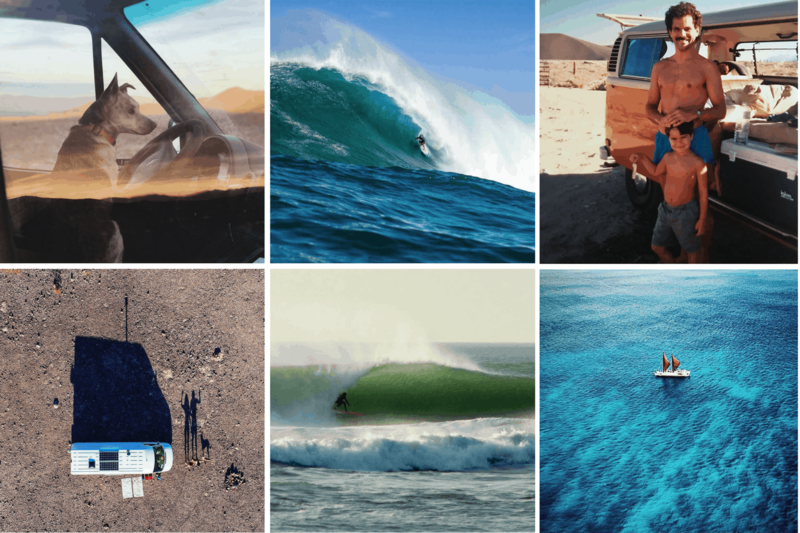 Check out his ultimate Oahu bucket list for some inspiration. Lorenz features photos from Munich, Waging am See, and Upper Bavaria. 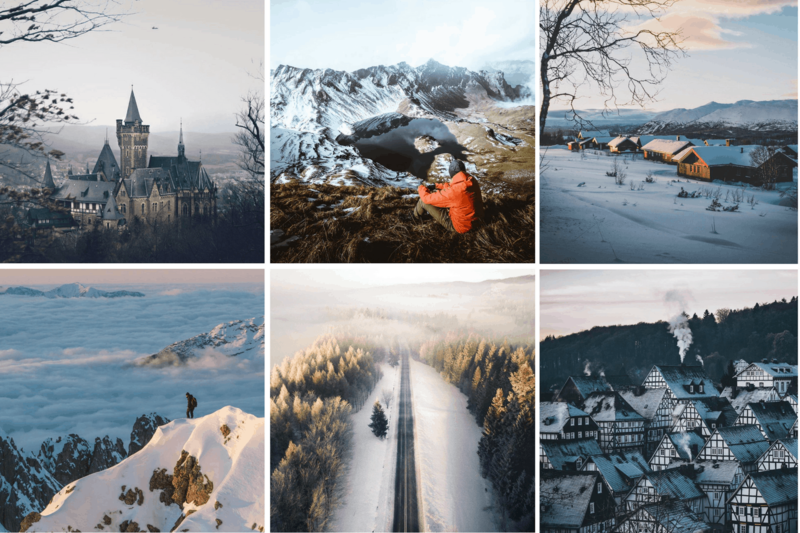 His photos feature beautiful winter scenes. Expat Matt is a solo world traveler. 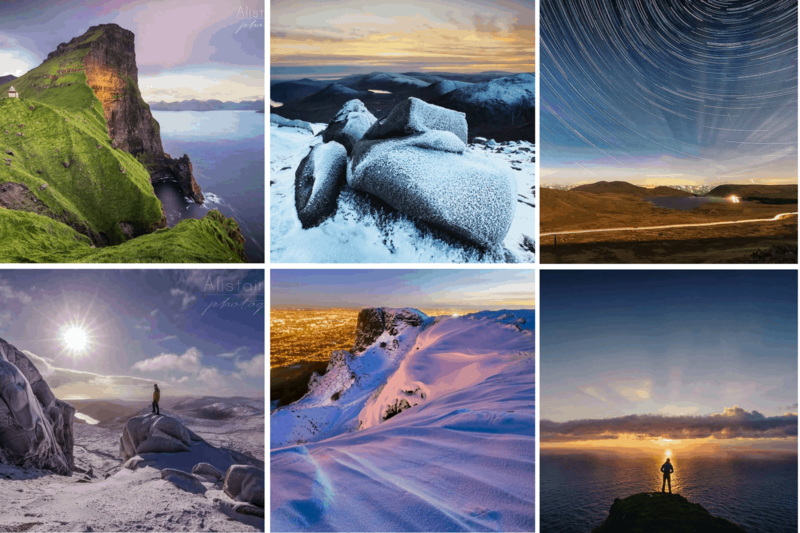 His photos are simply amazing, so you don’t have to worry about any repeat or boring landscapes. 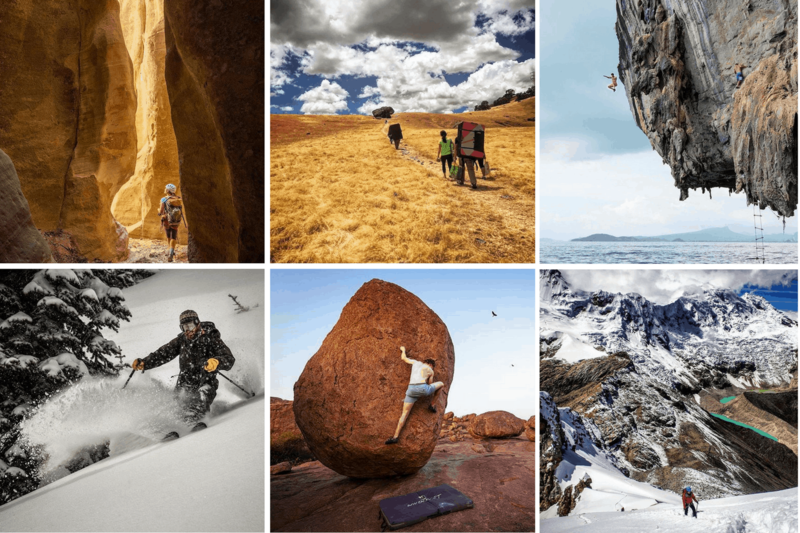 This Instagram account is one close to my heart: I love to climb and I love seeing others climb! However, these ladies are much better than I ever was. Follow for: Amazing yet dicey views! Arielle is a yoga and meditation teacher as well as a nutrition/business coach. She loves life, adventure, and philanthropy. 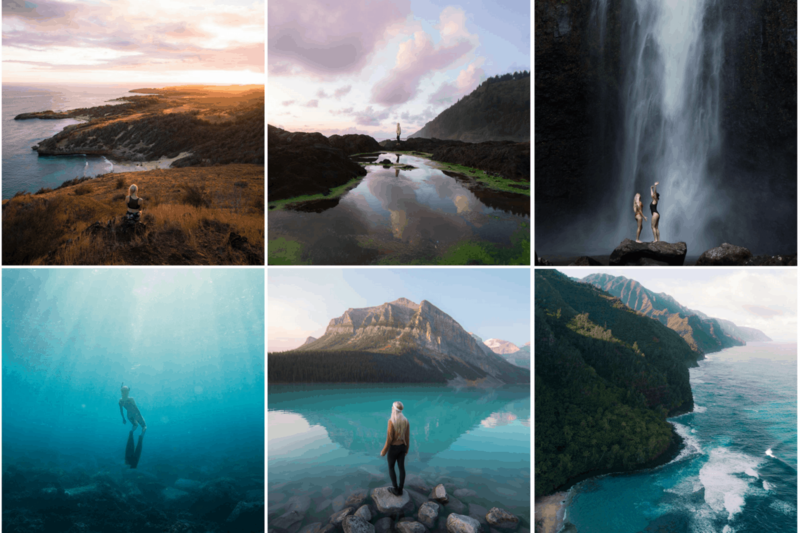 Kelsey makes our list because of her jaw-dropping tropical photography. 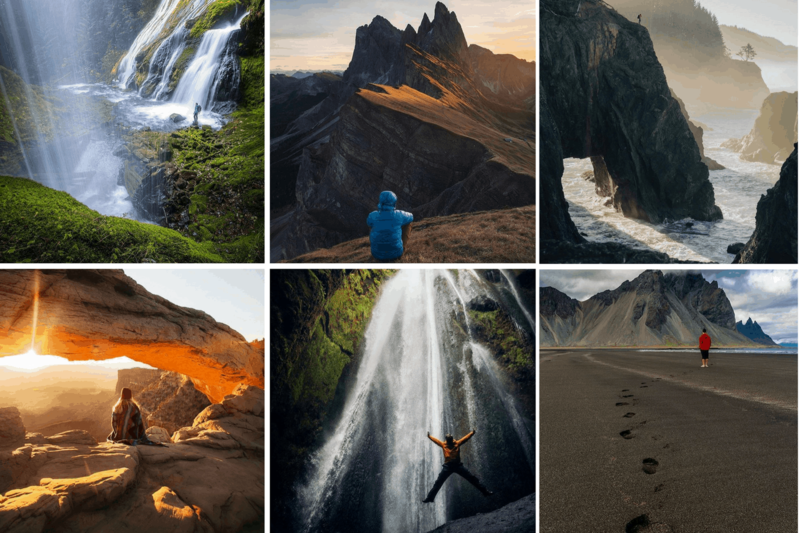 Where are waterfalls, underwater photos, and mountains. Follow for: Top notch Hawaiian photography and more! 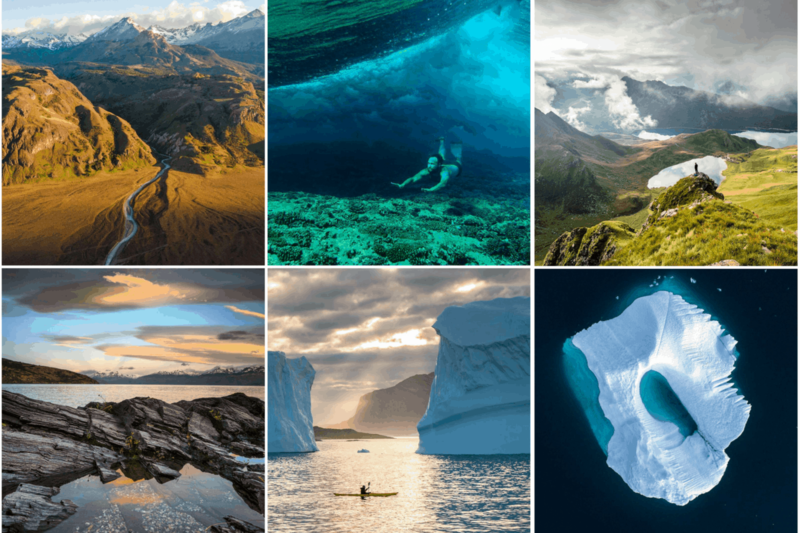 Chris Burkard is a man of many talents: photographer, speaker, and director. Check out his website. I follow Pete for his unique photos. He is a filmmaker, public speaker, National Geographic photographer, and Sony artisan. Sign his petition to save National Monuments here. 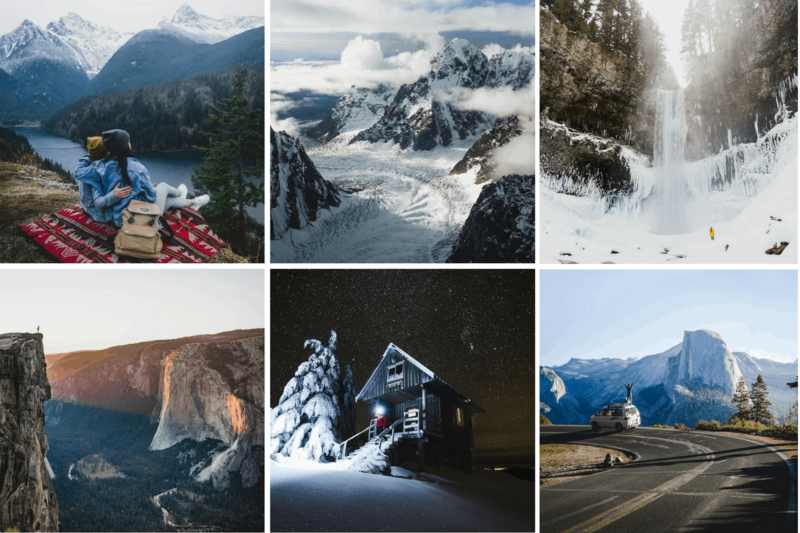 Bradley loves the mountains, and you can see it through his artistic photography. He is also a jeep lover. 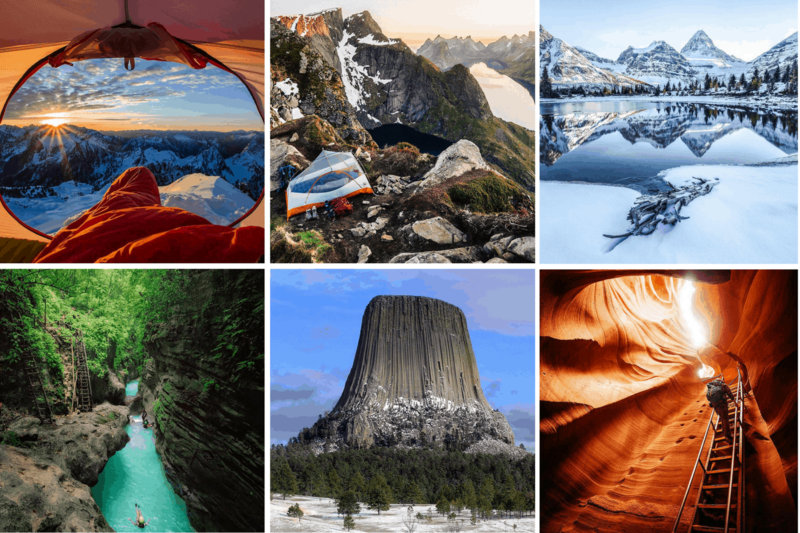 This instagram account made our list due to the incredible photos from around the United States. In addition, Travis has been trekking around in his van for 3 years! 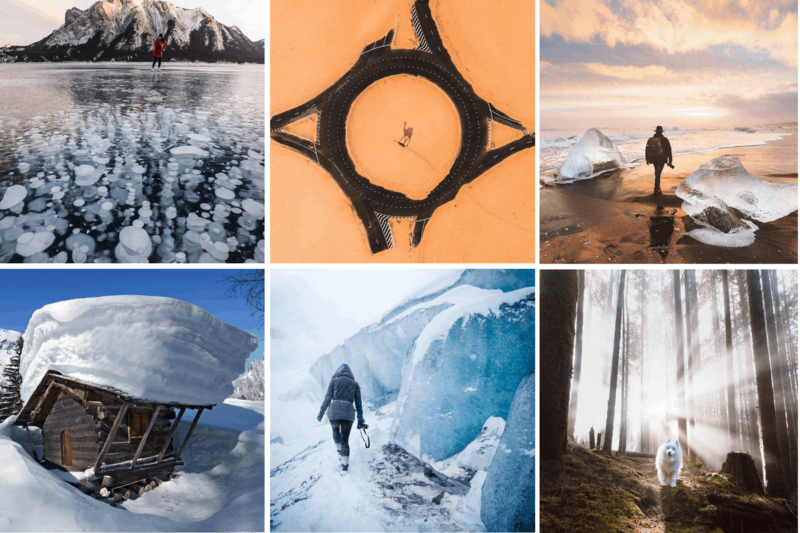 Wilderness culture is a community of outdoor enthusiasts that post gorgeous photographs. 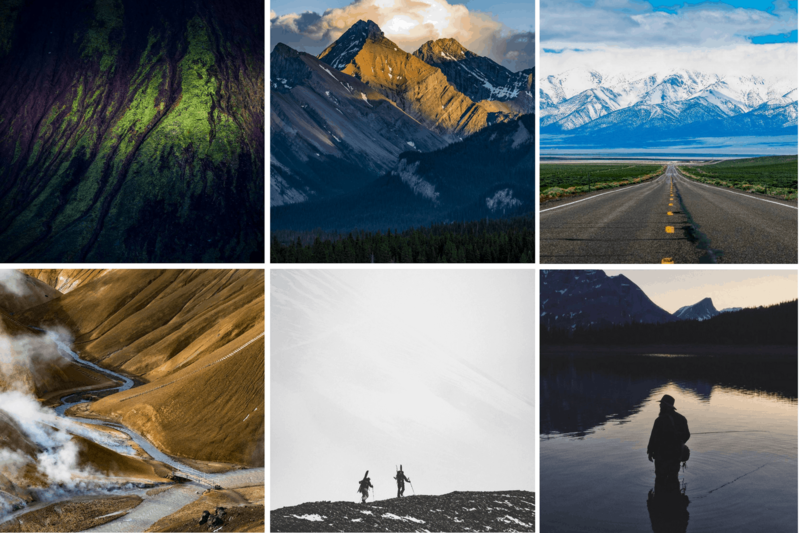 If you want a chance to be featured, tag #wildernessculture. 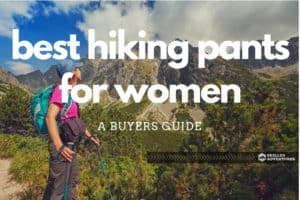 For more information, check out www.wildernessculture.com. Tim leads an interesting life as a full-time filmmaker, photographer, and VR artist. Check him out at www.camp4collective.com. 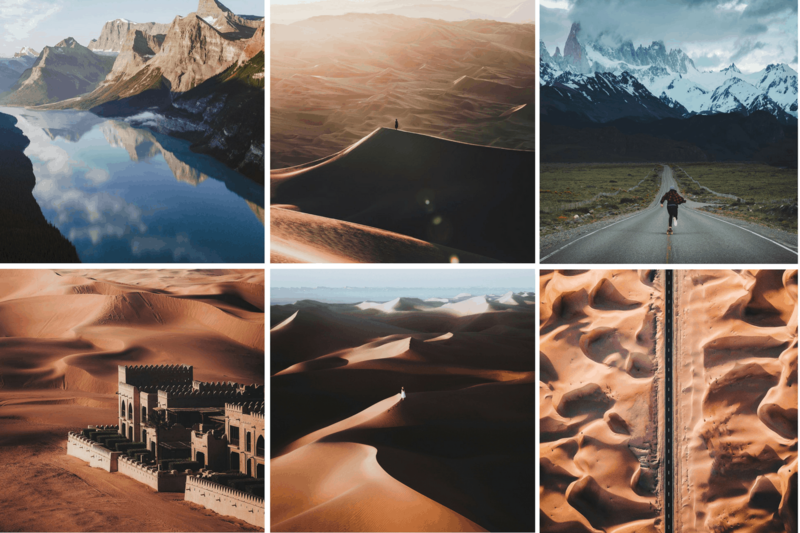 Andy describes himself as a nomad working to share the beauty in this world. 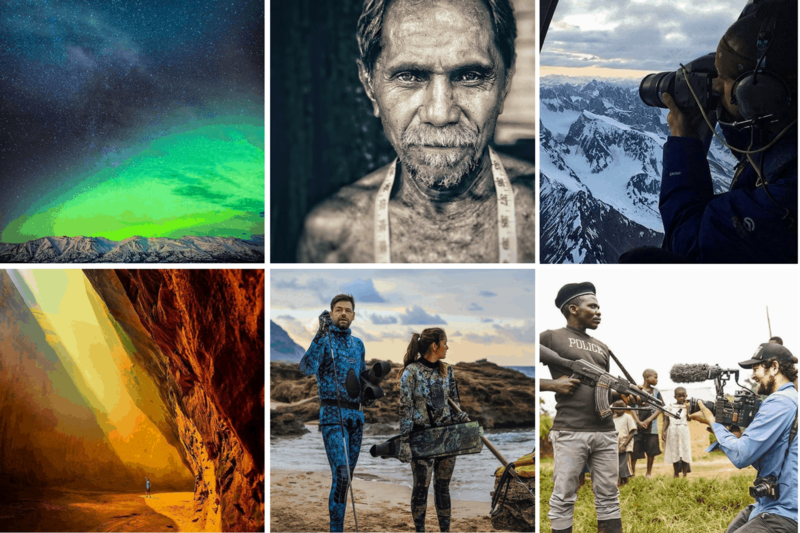 He is not only a cinematographer, he is a photographer and contributor to @natgeoadventure, @roam and @lonebisonfilms. 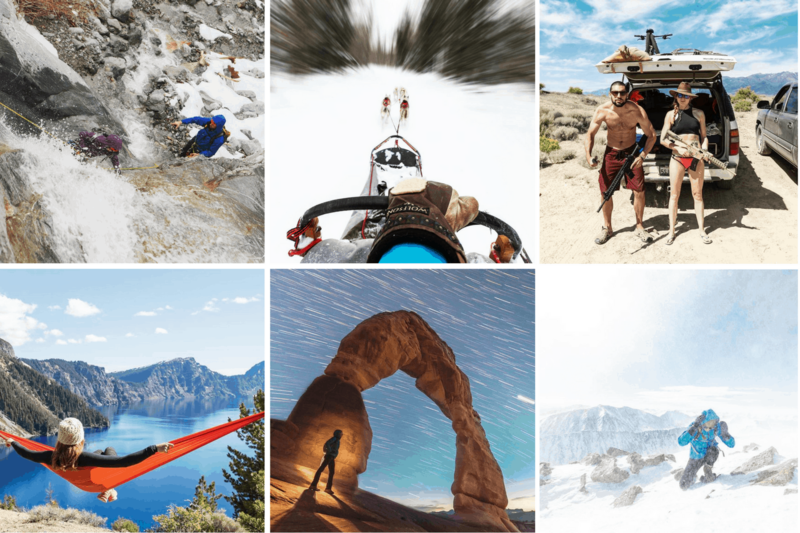 The Clymb is an online, outdoor retail store that describes themselves as purveyors of fine outdoor good and adventure travel experiences. I fully agree. 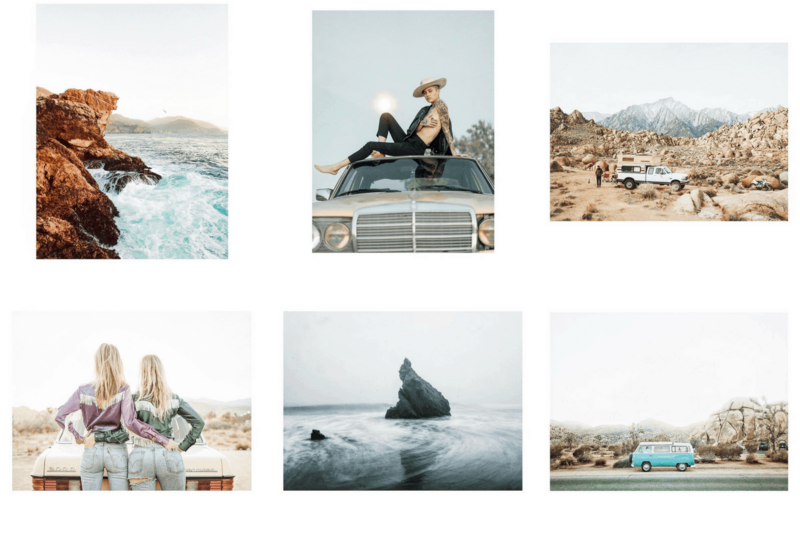 Not only is their eyewear gorgeous, so are their photo locals! 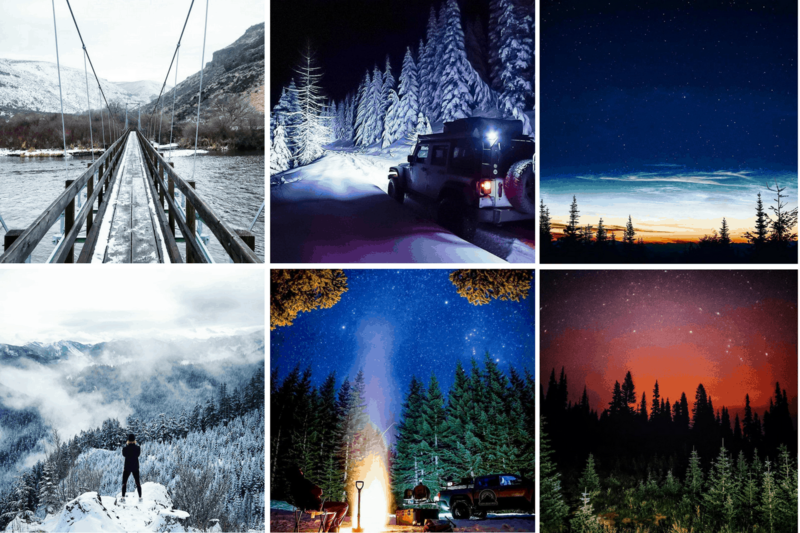 To be featured, tag #RoamFree. Forest begins his Instagram page with the quote “to be and not to seem”. That is the kind of person he is, and the types of photos he takes. Join Forest, and donate to save Bears Ears. Adventure is Jimmy’s middle name. 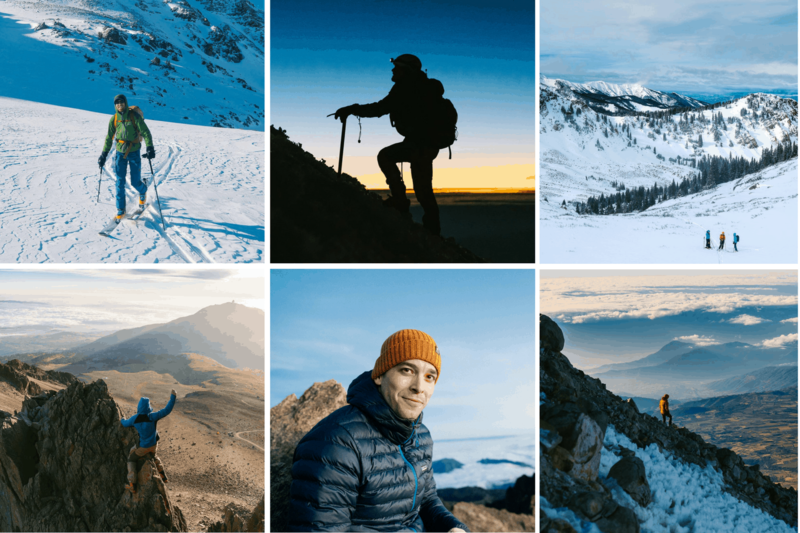 He is not only a North Face Athlete, he is also a photographer and filmmaker. Julian is creative, and works with product direction. 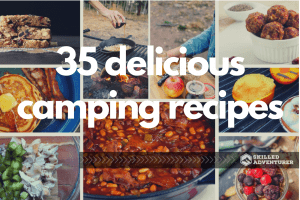 Check out more of his work on his website, or @Hipcamp. 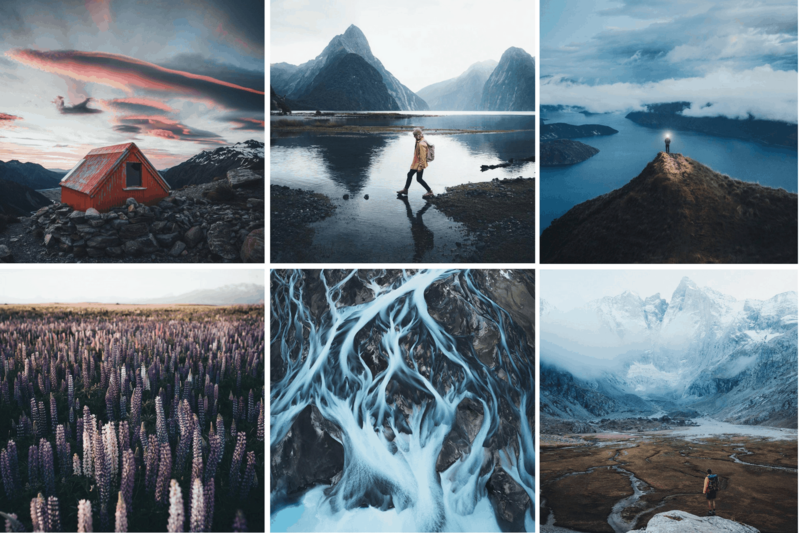 Kyle Frost is the creative director of another Instagram page - The Outbound Collective. He also has his own website. 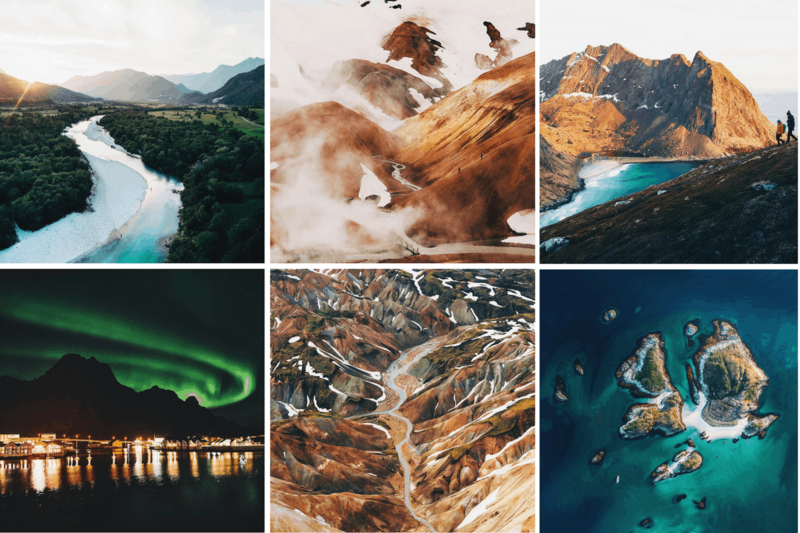 Cole is not only a self-proclaimed travel photographer. He is also an escape artist! I love that you can even book him right on his page! For more info, check out his website! Trey makes my list for his insightful, creative photography. 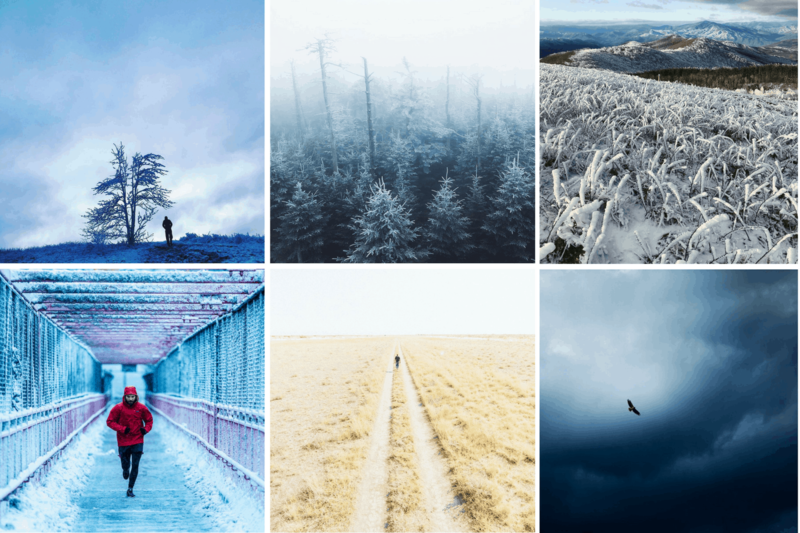 Although his adventures include nature, they also feature humans being incredibly human. 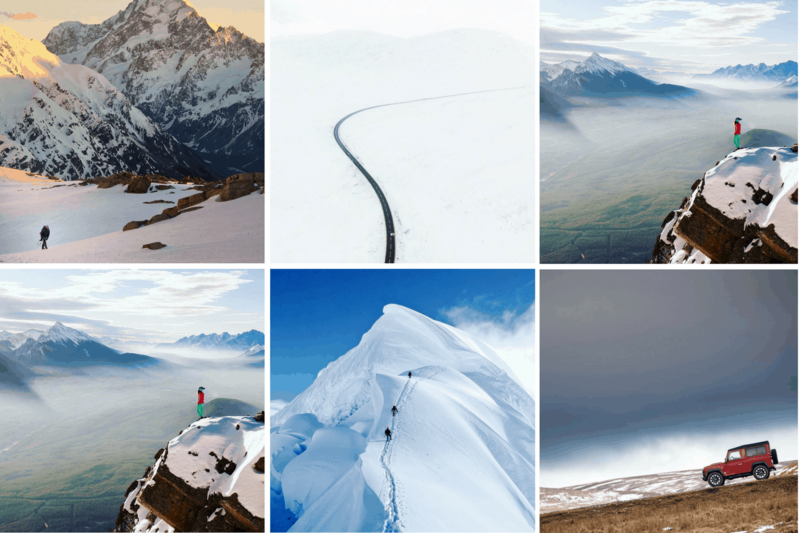 If you want to see mouth-dropping photos of the Swiss Alps, this is the page for you! Dan’s page is also a must-see for runners. If you plan to run in Switzerland, check out his website! Follow for: The Swiss Alps. Need I say more? Owen Perry makes my list for being a great artist. 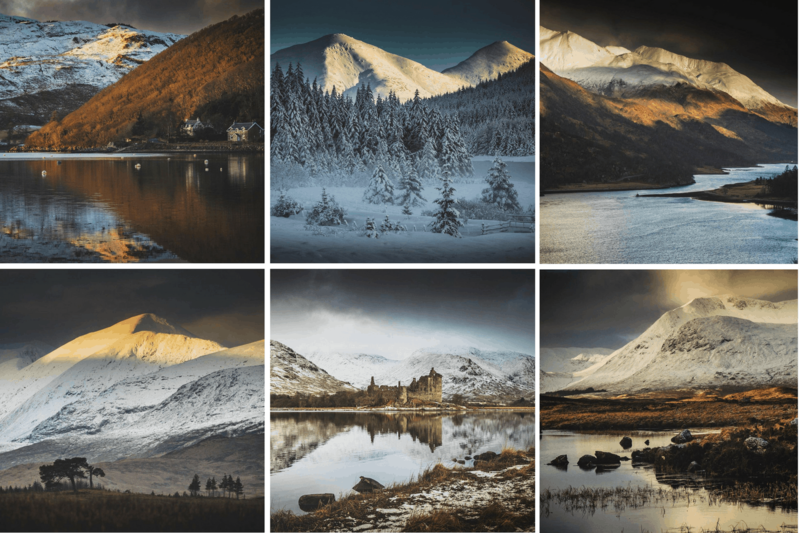 If you are looking for some amazing photographs as a gift, check him out! One thing that is remarkable about Russ’s photos are that they are taken by only an iphone. He also does film, and you can see more at his website. 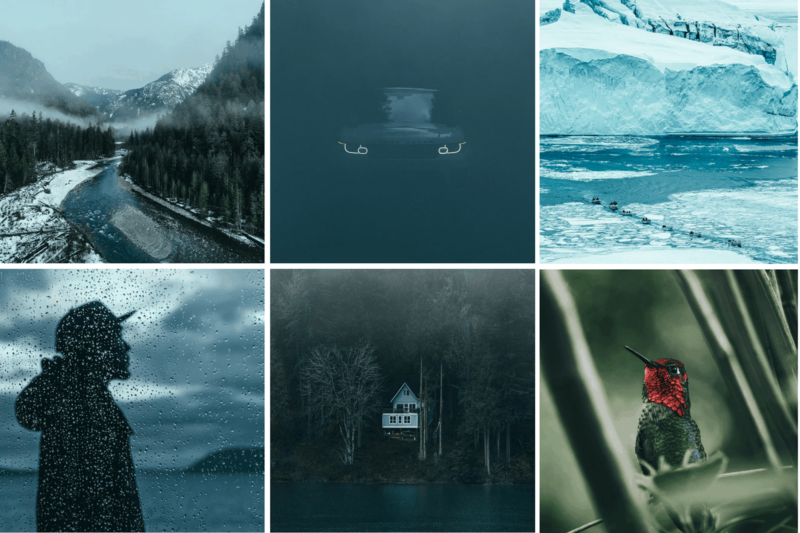 Camp4Collective loves nature, and it is obvious by their featured photographs. I like that you can tag your best outdoor adventures at #camp4pix. 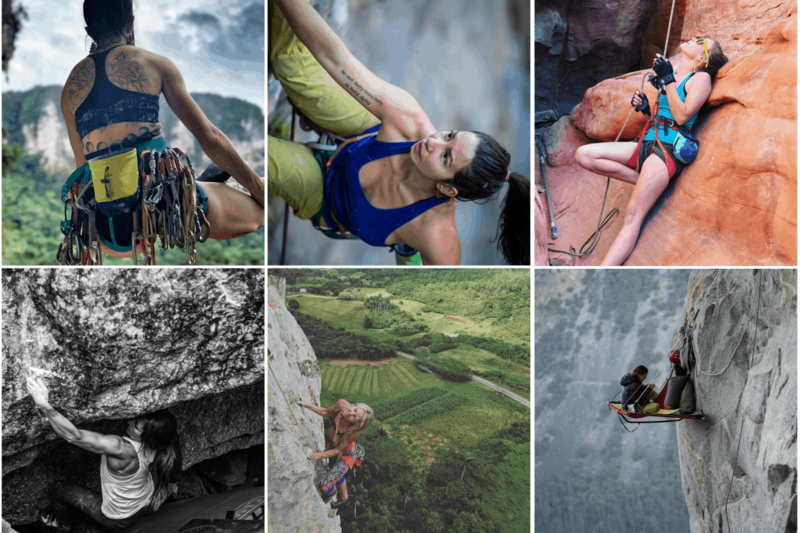 Kat Carney is a climbing legend. I love following her adventures and getting inspired by her courage! She also has some of the most realistic, gorgeous photos. 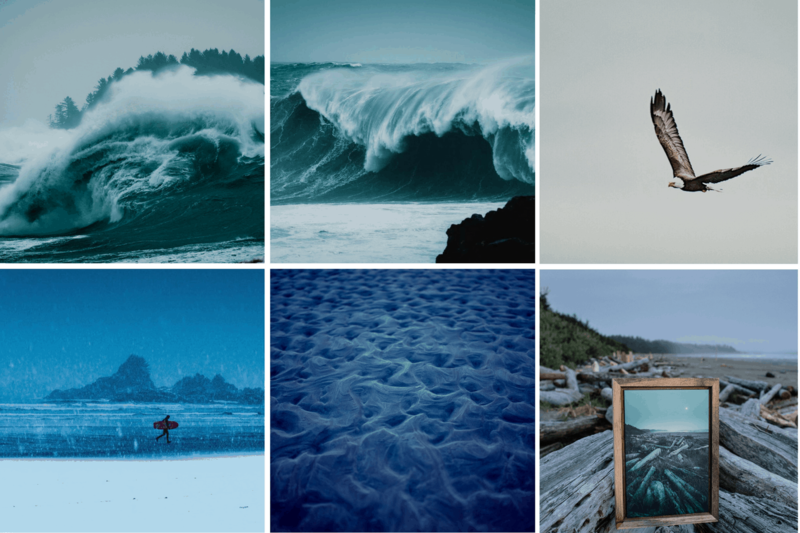 Jared’s photography is quite interesting, and can be characterized by a light color scheme. His photos also feature quite a bit of snow. Alex is based out of one of my favorite places in the world: Whitefish Montana. 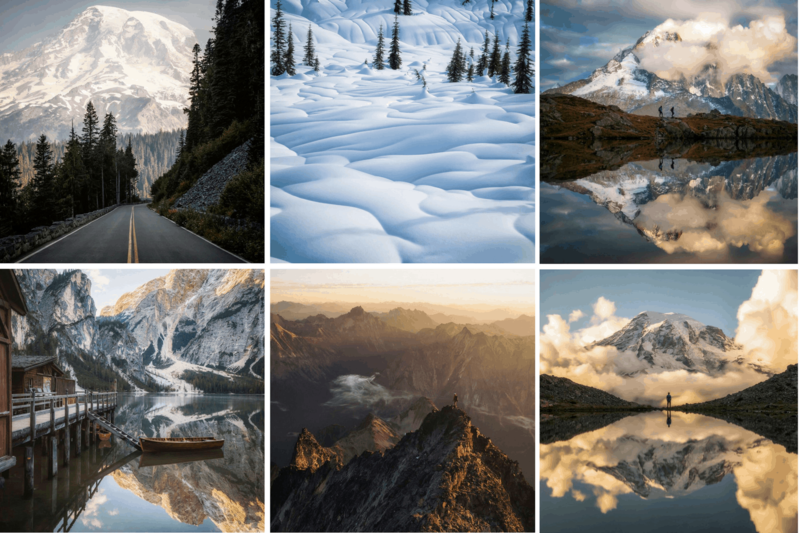 However, his photos are not only from Glacier National Park. Check out his stories! Cyrus is not only a photographer, he is a director and a surfer! In fact, he has a video of why B Corp certification matter. Dylan is fursty…fursty for adventure! He is the only one on my list based in Washington State. A filmmaker and photographer, you can check out his other works here. This man is German and he is everywhere! So much so he is a Stay&Wander Huawei Mobile Ambassador with over 1.1m followers. A photographer from Brisbane, Australia, Jason doesn’t just stay close to home. His most recent adventure was to Patagonia. 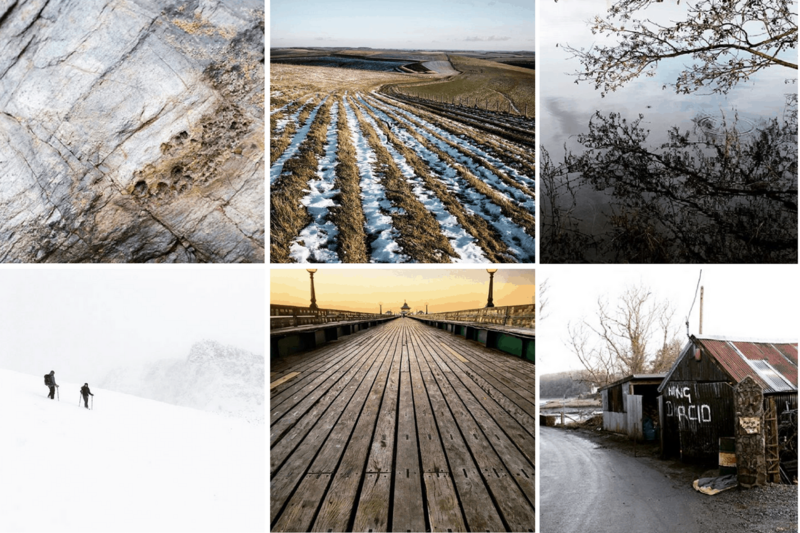 His photographs make me wish I liked the cold. Jason has an eye for gorgeous rocks and bodies of water. I follow this nomadic family of four, because I live vicariously through people doing what I love! 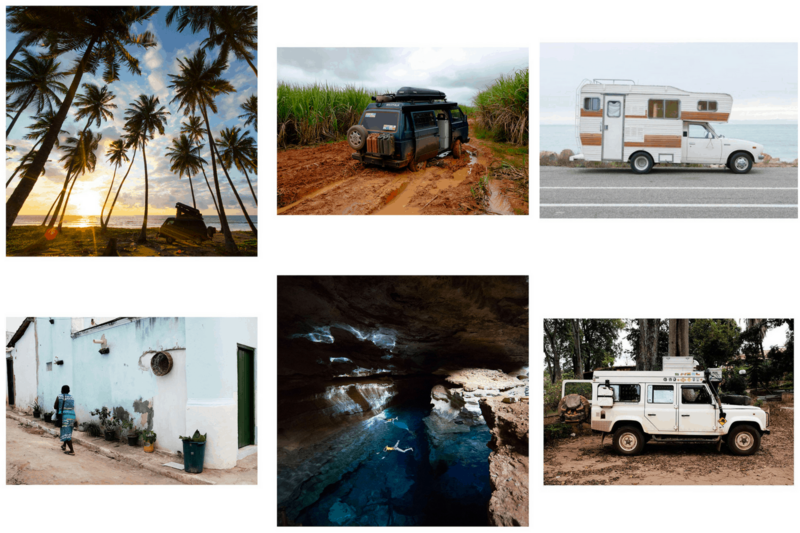 These people have been on the road for 6 years, and they are currently in Brazil. Based in Seattle, Washington, Kristian travels far beyond the bounds of the State. Check out more of his gorgeous photography at his website. 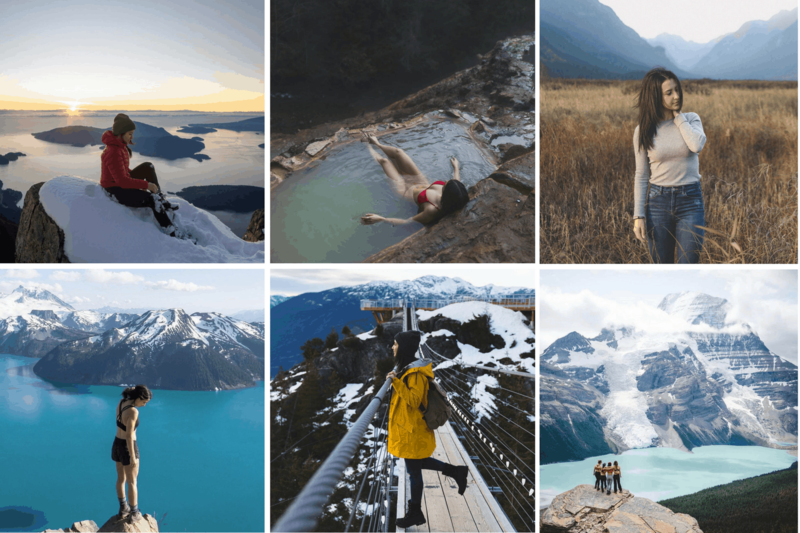 Jess is a blogger, wanderer, and dreamer living a life of adventure! 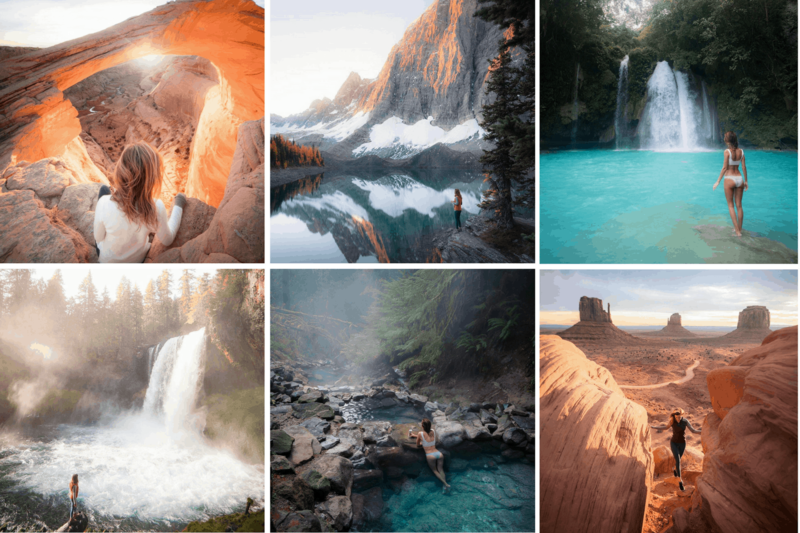 She is featured in many of her photographs, showcasing herself and grand places typically involving water. 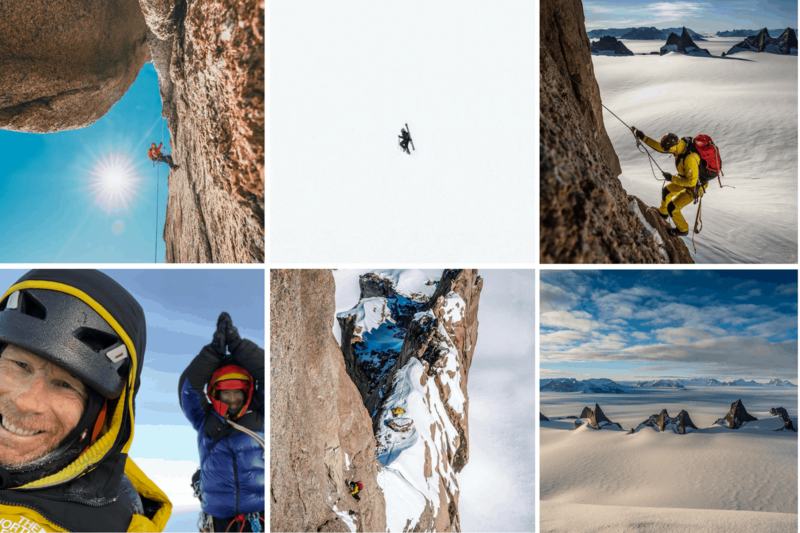 James Barkman is a climber that likes to walk on the wild side. Or rather he likes to ride his motorcycle! He is currently climbing his way from Alaska to Argentina. I love this page. 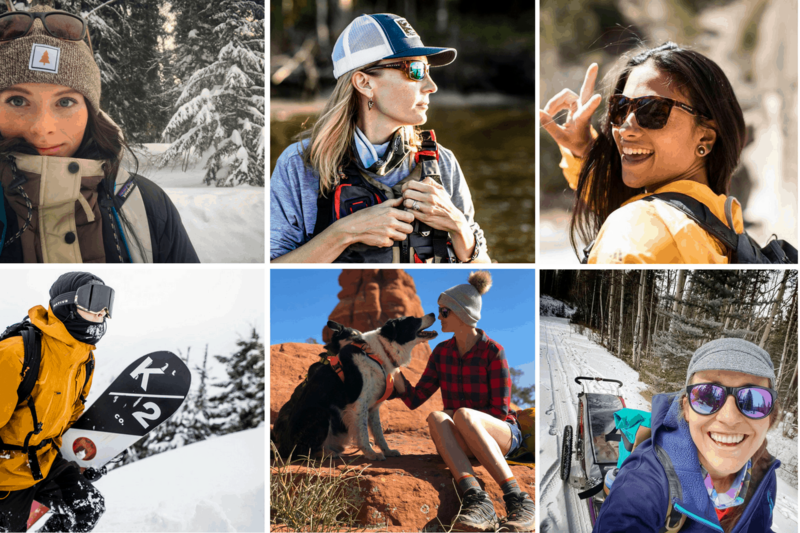 Filled with photos of only women on grand adventures, I feel incredibly inspired and motivated to get outside. 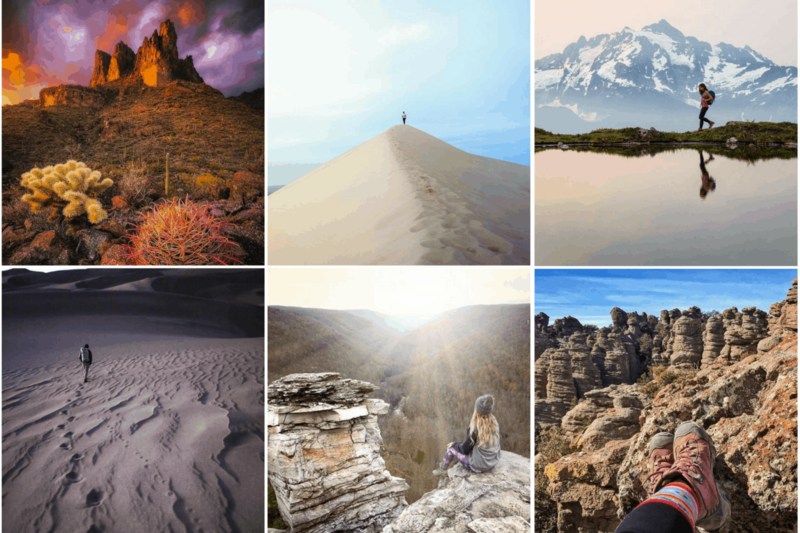 This Instagram page is included on my list, because it features some extreme landscapes and people tackling them. Proper adventure also writes a journal. Robert is not only a marvelous photographer, he is also a trail/fell runner. It blows my mind to think a human can run to some of these gorgeous, remote landscapes. Follow for: Motivation to become a trail runner! 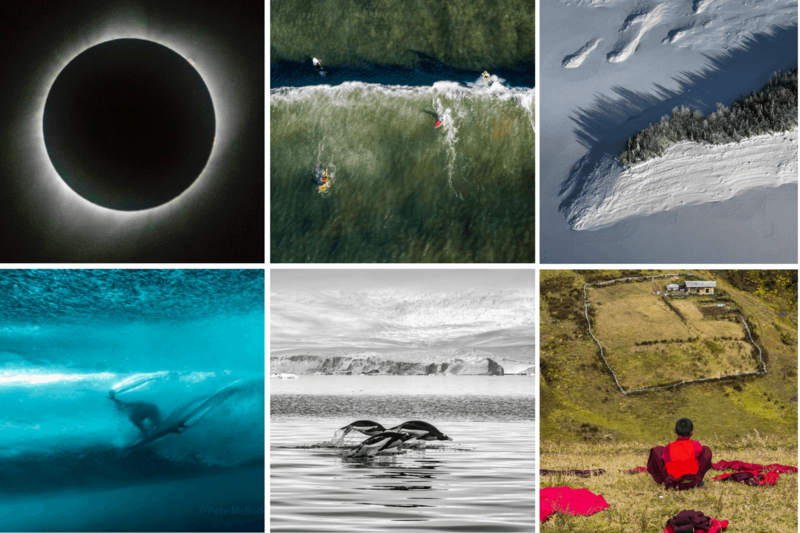 Most of the photos on this Instagram page are from Pembrokeshire also known as Westest Wales. You can find out more at his website. I like Marc’s photography for its big picture focus. I tend to love wide landscape portraits of the American west, and these pictures do not disappoint. This couple are Devon hikers, and that is where many of their photos are set. They also feature blogs and photos from South Downs and Dartmoor Nation Park. 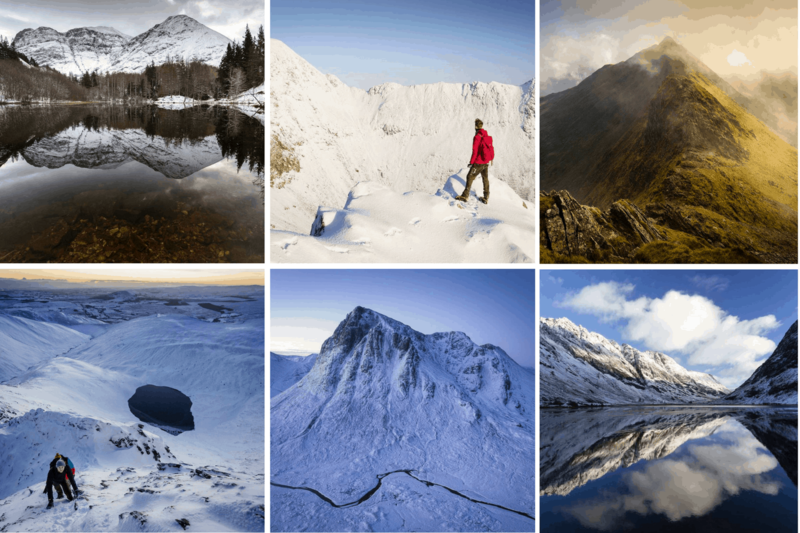 Alister Hamill has imaginative and spectacular photos of Northern Irish landscapes. 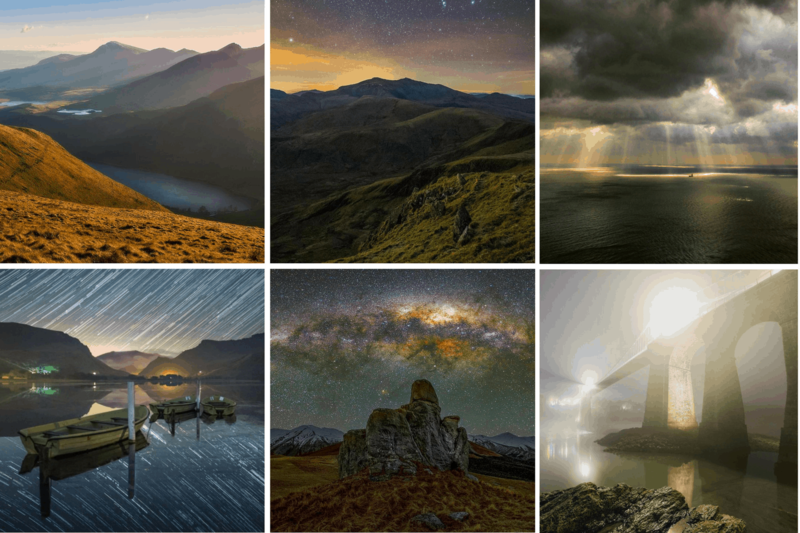 These include Aurora Chaser, Mourne Mountains, and the Causeway Coast. 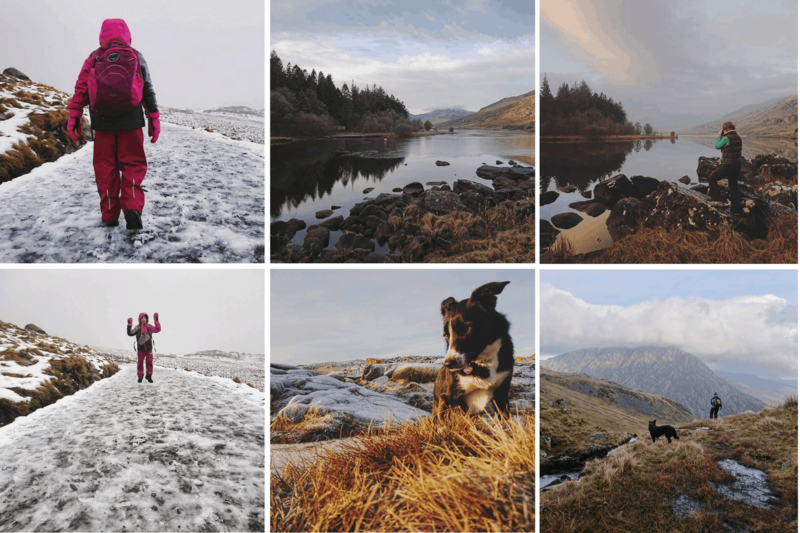 If you want to see what life is like in the mountains of Snowdonia/Eryri, look no further than Jamie’s account. 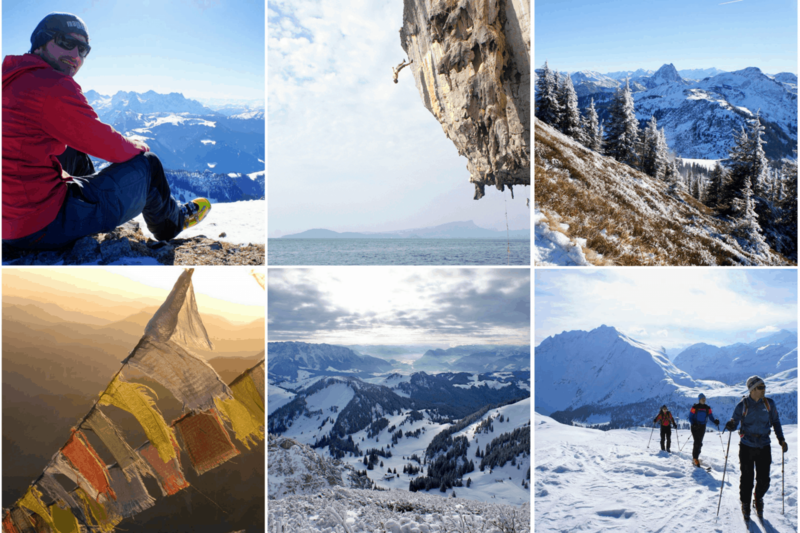 In fact, he is a mountain and hiking guide, so many of his photos are adventurous! A blackleaf ambassador, Johnny hails from Scotland. 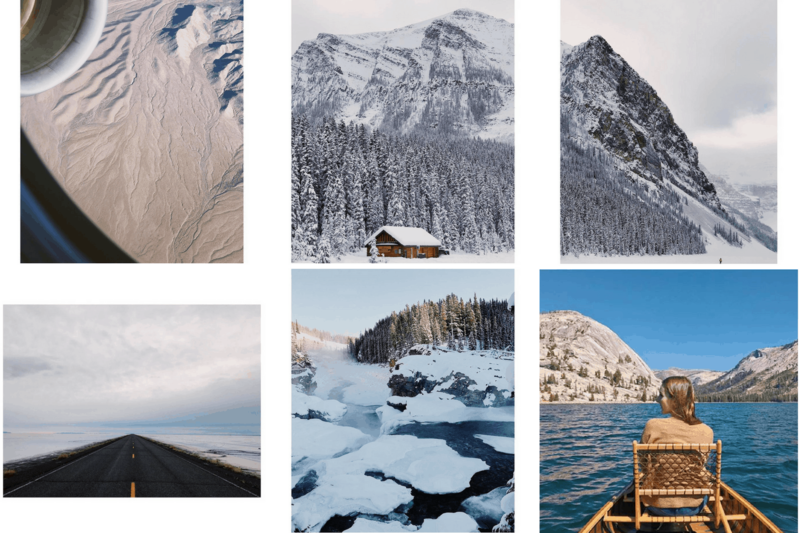 If you love oceans, mountains, waterfalls, farmland, or coast, check out this Instagram! I like Elgan Jones. His photography is absolutely gorgeous, and he is a professional. 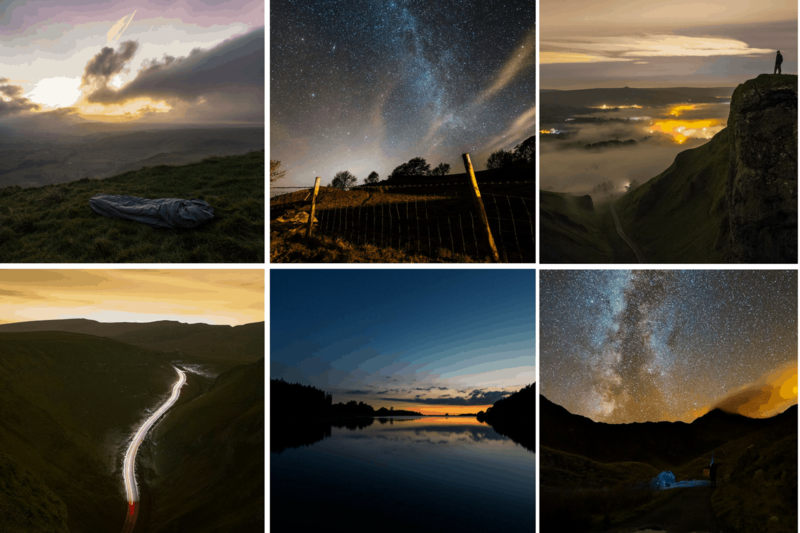 Some of his talents include astrophotography, time-lapse, and landscape. 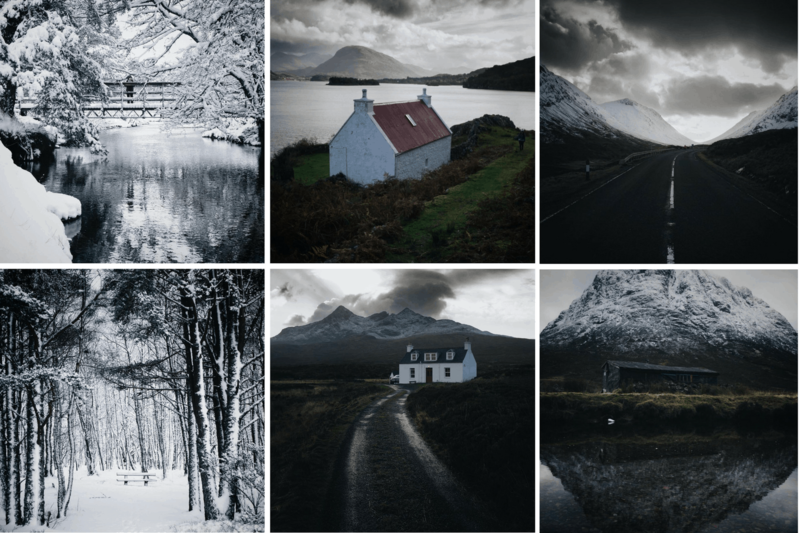 Callum’s Instagram photography can be summed up in one word: haunting. However, it is gorgeous and deep at the same time. There is nature, sunset, sky, landscape, and architecture. To get a quick tour of how gorgeous Europe is, check out this guy. 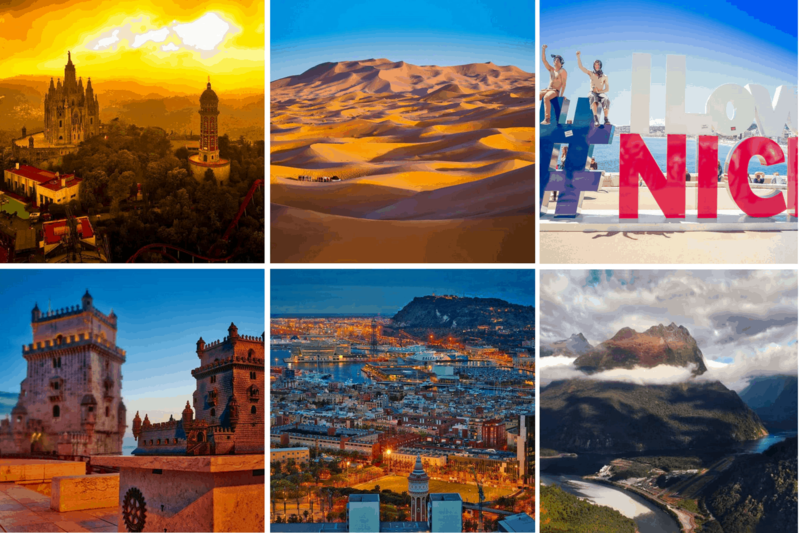 Johan just took a 5-month summer road trip across 17 countries. Check out his website for more. Although Tiffany is a dentist, she still finds time to go on outdoor adventures! 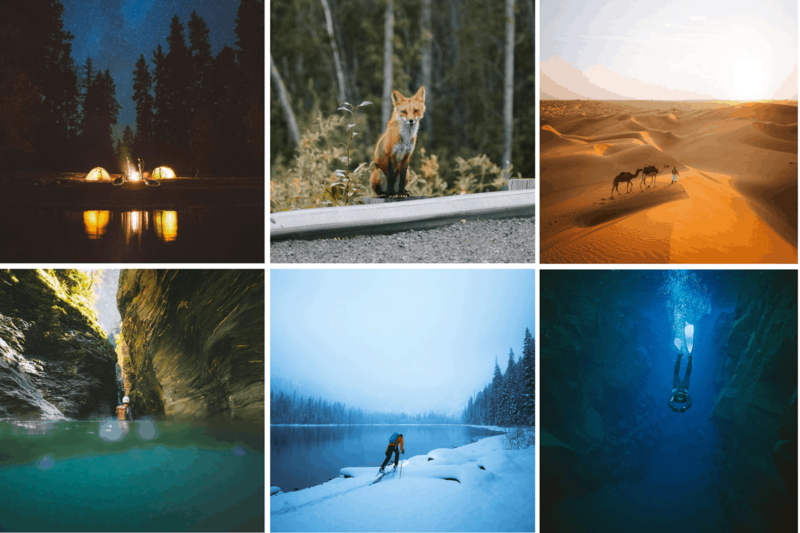 In fact, her nature photography is absolutely stunning! Hailing from Amsterdam, Kire has an eye for beauty and the unique. Just one look at his page and you can see he brings out the best in everything he photographs. Max is a Samsung Mobile Ambassador, and his pictures are of a darker pallet. 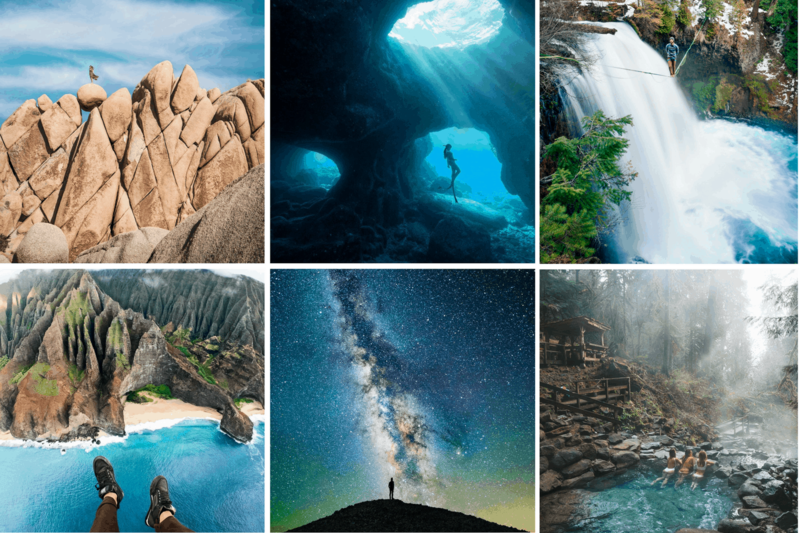 There are so many lush pictures of trees, waterfalls, rocks, and oceans. I like Rob’s Instagram, because he showcases Thailand on a whole new level. I have never seen many of the locations on his page. 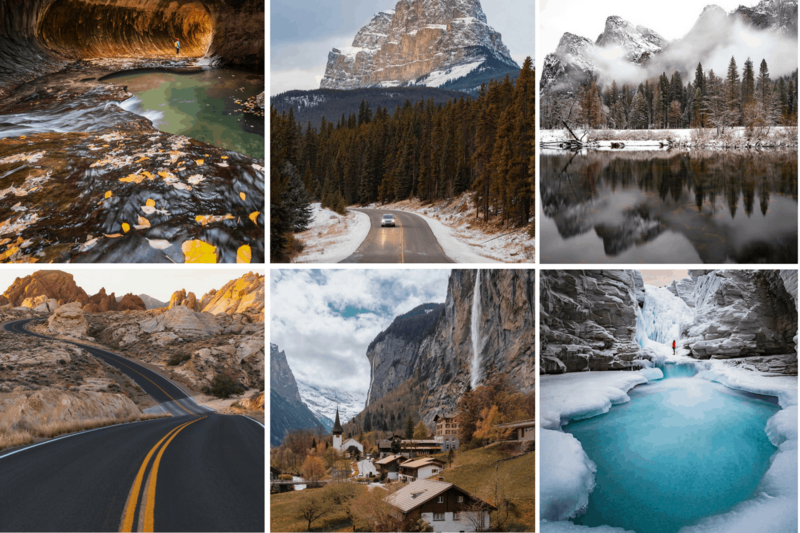 From first camera to commercial photographer in 4 years, this Instagram account is one to watch. 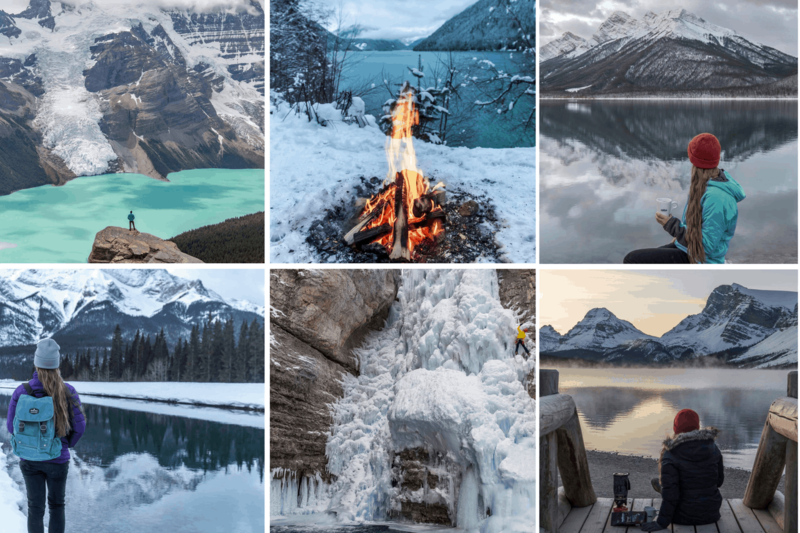 He is from Alberta, and captures the beauty eloquently. 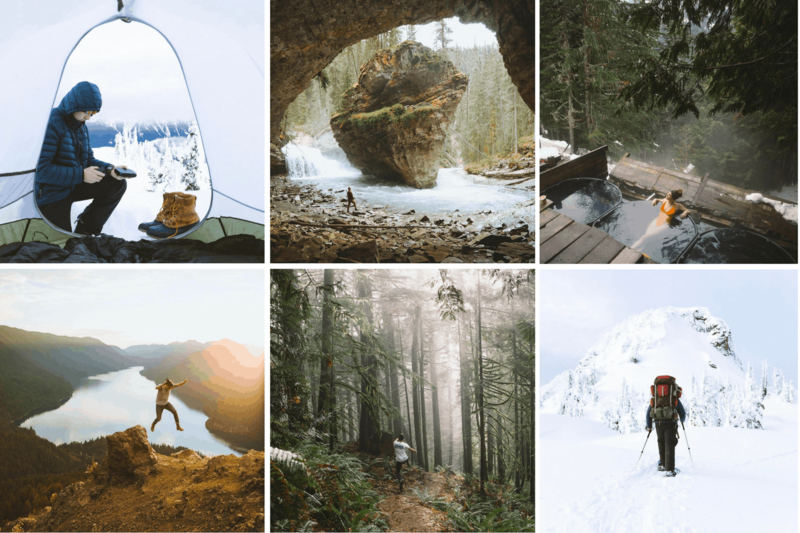 Scott Kranz makes my list, due to his adventurous page theme. 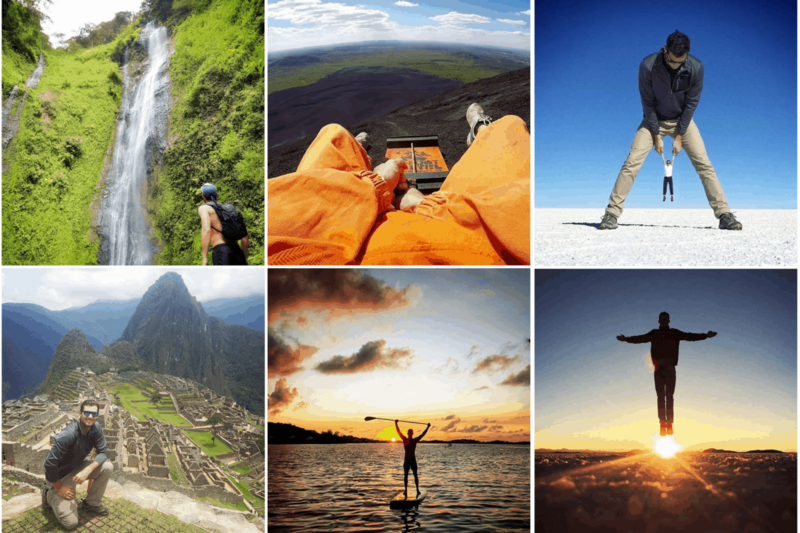 He has been chronically his adventure across the 7 Continents. 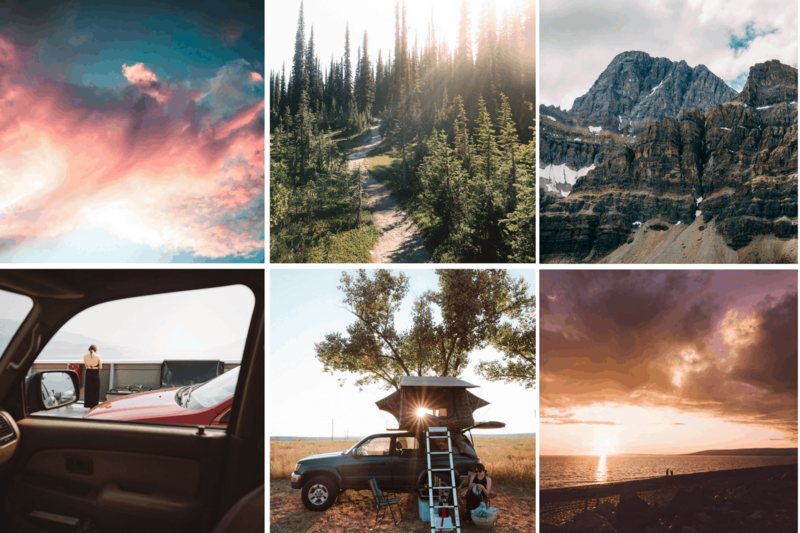 This page is all about adventure, literally! The team of adventurers and creators behind this account are an inspiration. 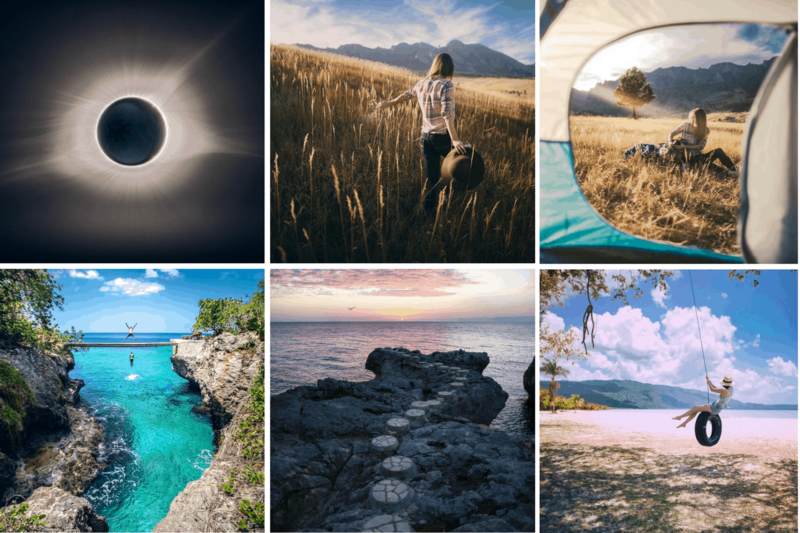 Tag #AllAboutAdventures for an opportunity to be featured. 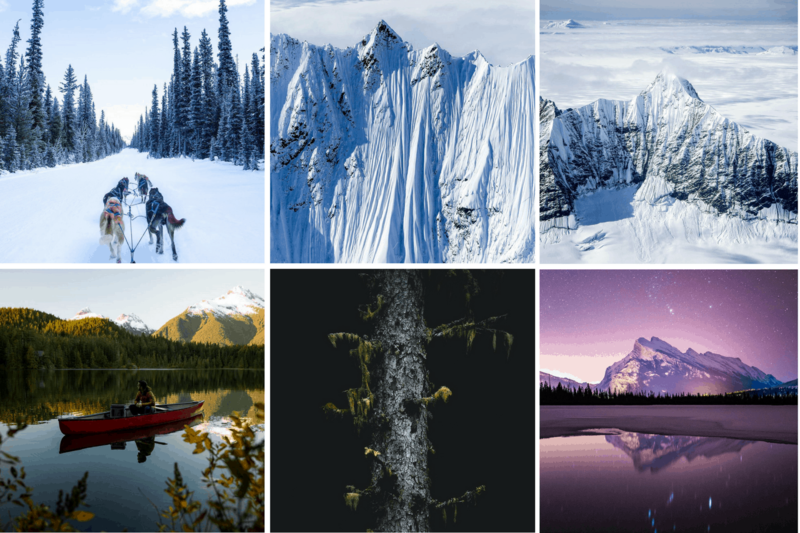 Matt is an outdoor enthusiast and an adventure photographer from Vancouver, BC. He is also the co-founder of All About Adventures. You can even sign up here for updates! I like this page, because Angela understands how to take a picturesque photo. I love to follow her adventures, and I bet you will, too! 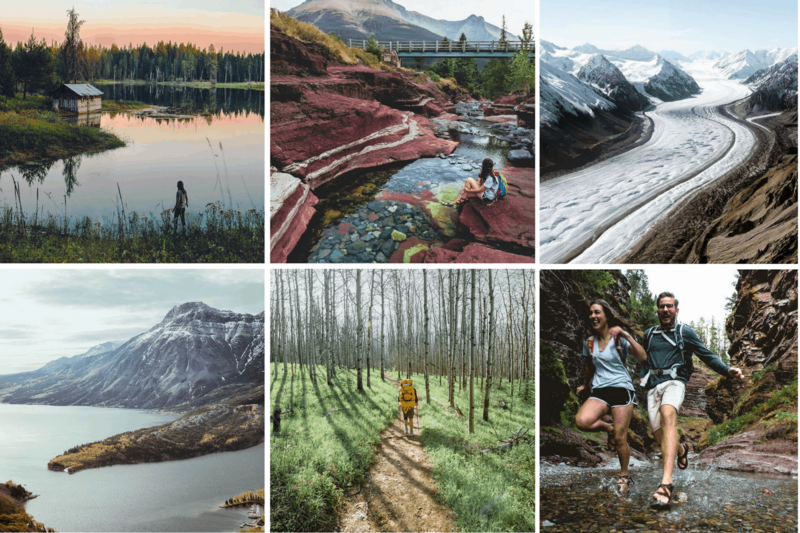 Madison Elrick is a fearless human being with a penchant for lakes. 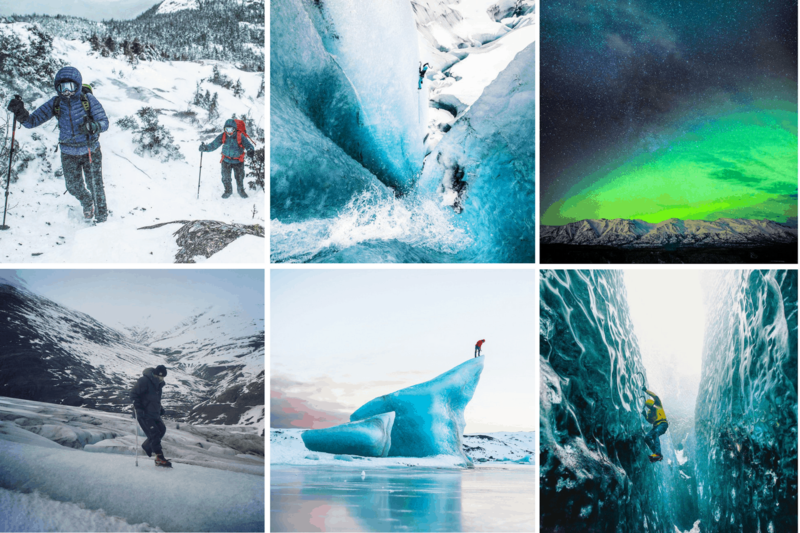 Her photos are all about alpine lakes, mountainous landscapes, and climbing ice walls. Another co-founder of All About Adventures, Brayden loves hiking and photography year round. His photos prove it. 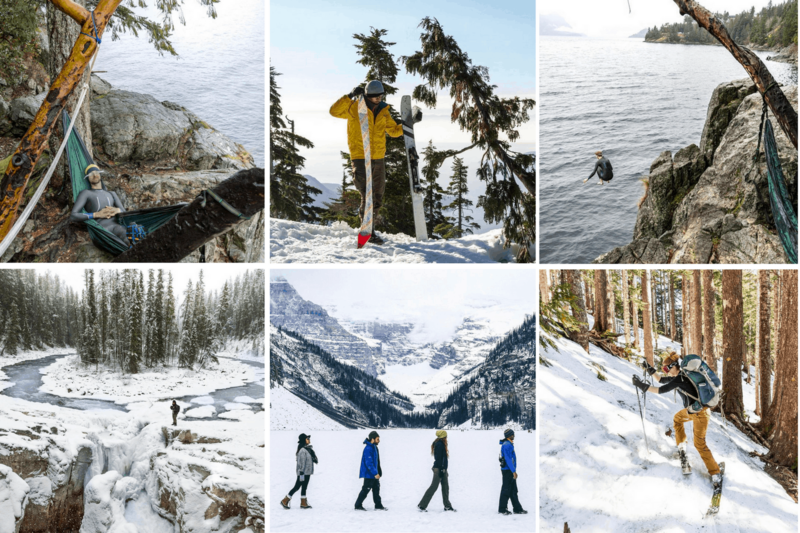 Follow for: Mountains, lakes, and oceans…oh my! Braedin is a photographer, videographer and Creative Director at Toth Media where he helps brands connect with their audiences through storytelling. He spends most of his time travelling throughout Canada and the US. Avin is extremely talented and taking photos of sunrises and sunsets. To see more photos, hire Avin, or buy prints, go to his website. 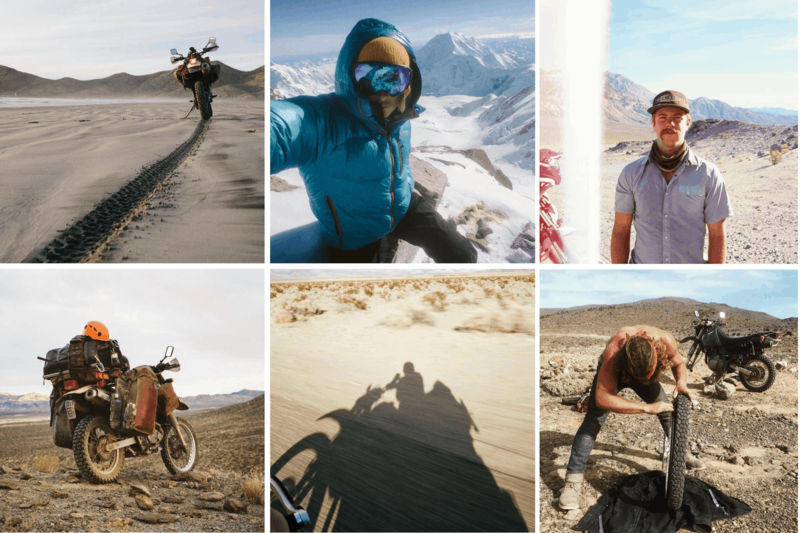 These two West Coast adventurers travel by van, and take amazing pictures on their adventurers. They hail from Vancouver, Canada, but rarely stay home! Samantha is a hiker and amateur climber, following the call of the nature. She hails from the Squamish area, so you know her pictures are gorgeous. 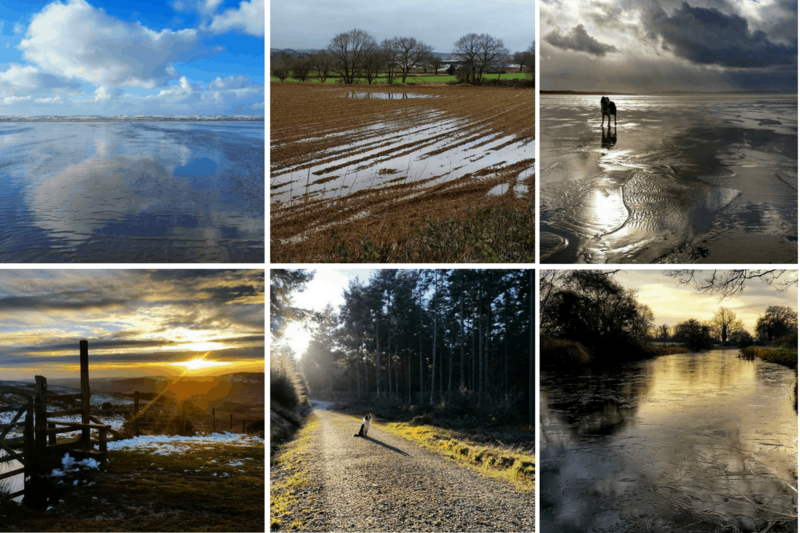 Paul’s photos of landscape and light are one-of-a-kind. There are so many outstanding pictures of the sky it is awe-inspiring. 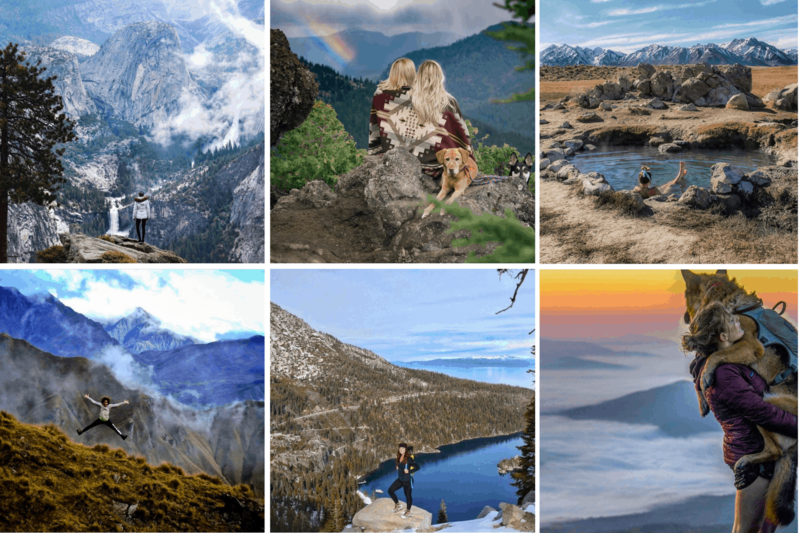 I like this Instagram page, because it is made of awesome guest posts from all things hiking. 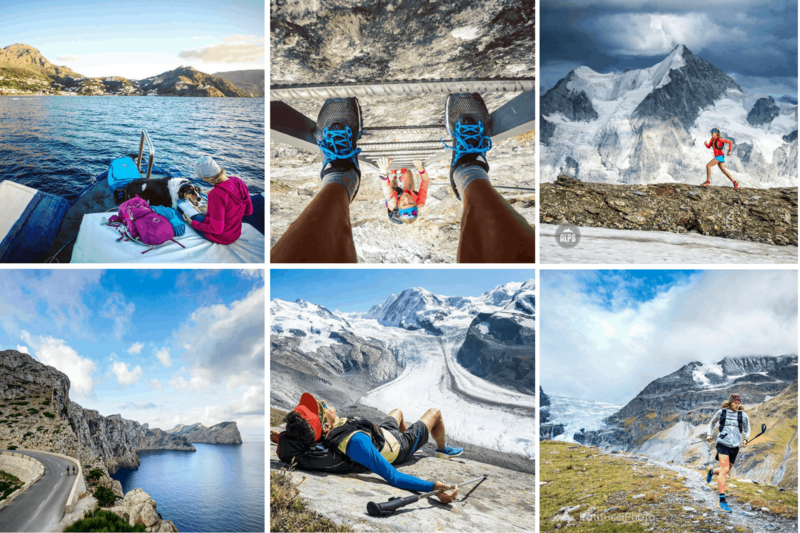 To be featured, simply tag your photos with #hikingculture. 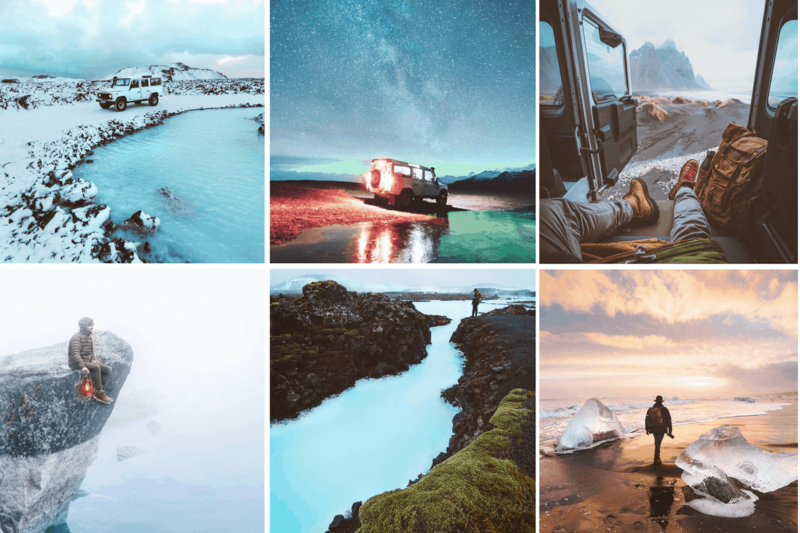 Did you enjoy my list of the best adventure Instagrammers ? If so, let me know! If I left anyone out, comment below! I am always open to new suggestions and ideas. 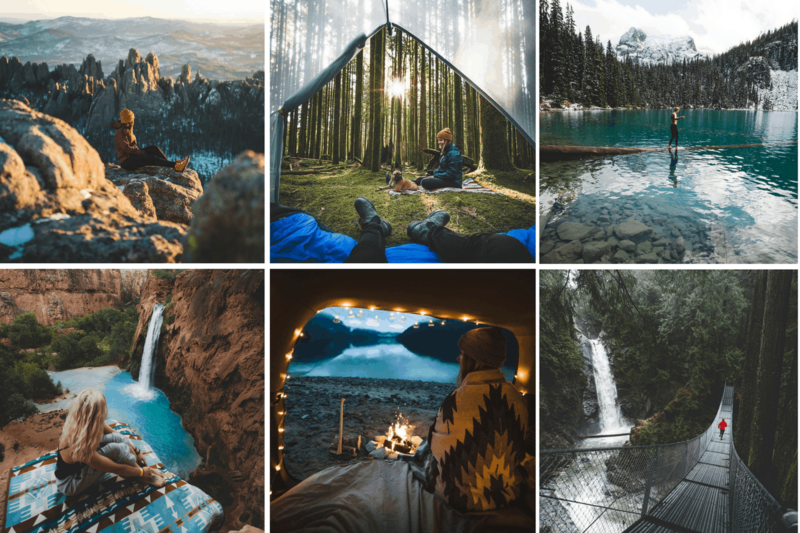 Who is your favorite outdoor Instagrammer?